914 Santa Barbara St. Call 965-5400 or visit ensembletheatre.com/nowplaying. 410 Palm Ave., Unit A2, Carpinteria. Call 684-8783 or visit andersonartcollective.com. 229 E. Victoria St. Call 965-6307 or visit afsb.org. 113 S. Montgomery St., Ojai. Call 646-0117 or visit ojaiact.org. 11 W. Anapamu St. Call 568-1400 or visit artamo.com. 205-C Santa Barbara St. Call 965-7321 or visit artsfundsb.org. 6612 Sueno Rd., Isla Vista. Visit sbdiy.org. 466 Bell St., Los Alamos. Call 344-3807 or visit thecgallery.com. 751 Paseo Nuevo. Call 963-0408 or visit centerstagetheater.org. 323 E. Cabrillo St. Call 897-1982 or visit santabarbaraca.gov. 3321 State St. Call 682-6787 or visit chaucersbooks.com. 1800 Refugio Rd. Call 968-1113 or visit circlebarb.com. 3400 Calle Real. Call 687-0766 or visit sbfairandexpo.com. 40 E. Anapamu St. Call 962-7653 or visit sbplibrary.org. 633 E. Cabrillo Blvd. Call 564-4333 or visit fpdtr.com. 949 Veronica Springs Rd. Call 899-1160 or visit sbahfs.org. 2285 Las Positas. Call 898-9526. 1114 State St. Call 965-6611 or visit sbartassoc.org/113. 1214 State St. Call 899-2222 or visit granadasb.com. 1111 E. Cabrillo Blvd. Call 643-1994 or visit hotelmarmonte.com. 2905 De la Vina St. Call 687-4027 or visit clubmercy.com. 1225 Coast Village Rd., Ste. A. Call 565-4700 or visit kathrynedesigns.com. 21 W. Anapamu St. Call 962-5322 or visit rain.org/~karpeles. 517 Laguna St. Call 962-5588 or visit marciaburtt.com. 721 E. Cota St. Call 884-4097 or visit luketheatre.org. 2201 Laguna St. Call 682-4713 or visit santabarbaramission.org. 508 E. Haley St. Call 966-9328 or visit myspace.com/muddycafesb. 145 E. Ojai Ave. Call 646-8946 or visit ojaifilmsociety.org. 25 E. De la Guerra St. Call 965-2525 or visit pattylooklewis.com. 721 Cliff Dr. Call 965-0581 or visit sbcc.edu/art. 2375 Foothill Rd. Call 682-4722 or visit tennisclubofsantabarbara.com. 316 E. Matilija St., Ojai. Call646-4300 or visit theater150.org. 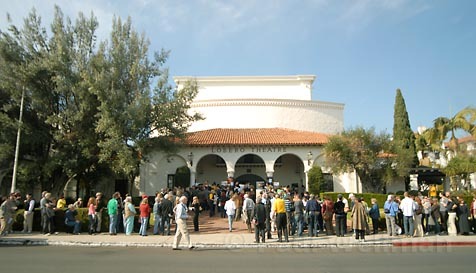 Call 893-3535 or visit www.artsandlectures.ucsb.edu. Call 893-7221 or visit www.theaterdance.ucsb.edu. Call 893-3022 or visit www.theaterdance.ucsb.edu. Call 893-7221 or visit theaterdance.ucsb.edu. 955 La Paz Rd. Call 565-6162 or visit reynoldsgallery.org. 435 State St. Call 963-1786 or visit myspace.com/whiskeyrichards805.